Kids are out of school and summer vacation is ahead!! Sometimes it’s the simple long weekends together that make the best family trips. Time by the fire, riding bikes, and relaxing together. 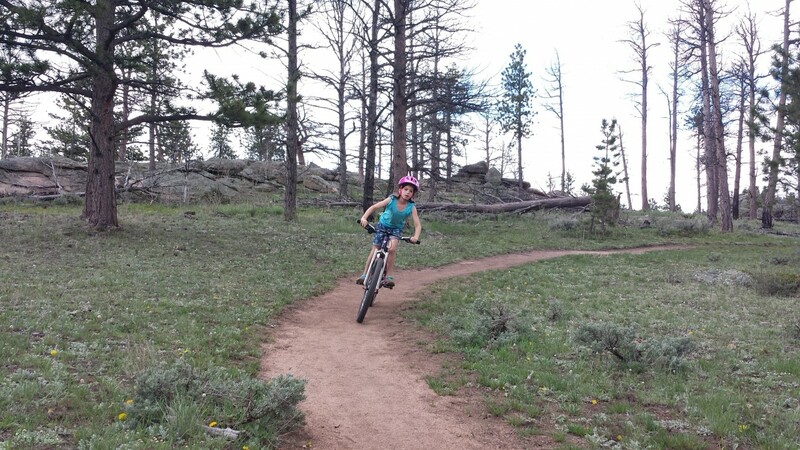 We just took a local camp trip up to Red Feather Lakes to ride bikes for the weekend. 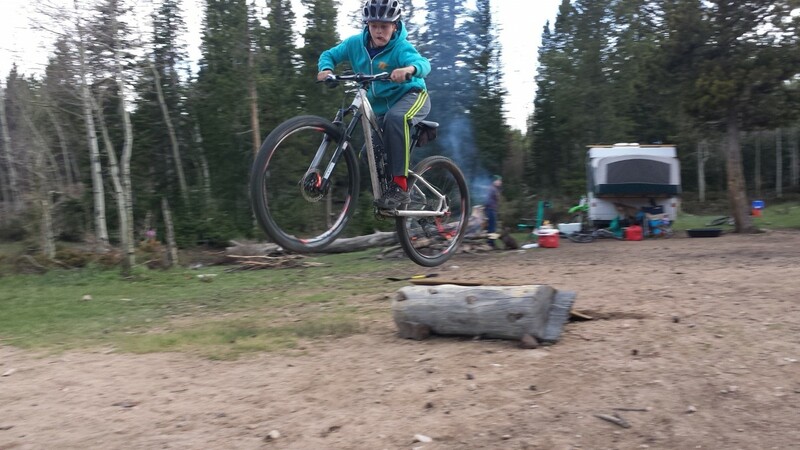 Hanging around the campsite Elijah had an idea to build a jump out of an old log and board laying around the campsite. This was good entertainment for everyone. I know a lot of you will be heading out for family riding trips this month as well. Wishing everyone very happy trails as summer kicks off!